Harland's Creek Farm, LLC is a certified organic farm located four miles west of Pittsboro NC. All our flowers, herbs, vegetables, and fruits are certified organic. The farm is operated by Judy Lessler, Erasmo Flores, and Yoli Nill Rios. 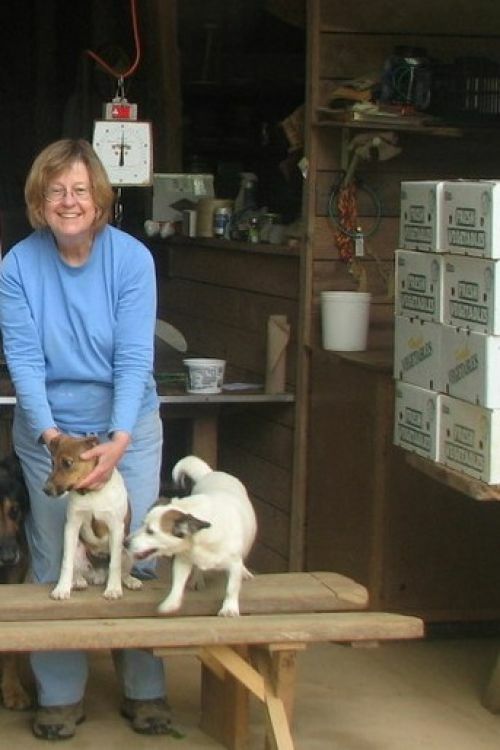 Judy started the farm with her husband in 1999. After many years working on the farm, Erasmo became a partner in 2016. Yoli, Erasmo's wife joined in the farm operations in 2018. We sell our products at the Durham Farmers Market on Saturdays and Wednesdays. Visit the market's web site for more information. et. We operate two CSAs, our Tuesday CSA with deliveries in Raleigh, Chapel Hill, and Pittsboro and our Durham Collaborative CSA with deliveries at the Durham Farmers Market. See the CSA tabs for more information and to enroll. And we also sell to local restaurants, mainly: Poole's Downtown Diner, and Death and Taxes in Raleigh, Tazza Kitchen in Raleigh, and The Boot, Maeto Bar de Taps, and Geer Street in Durham. These are the all topnotch places with excellent chefs. We are particularly in awe of Ashley Christensen who leads a great team of chefs in multiple sites. You can buy directly from us. Please send an e-mail to hcffarmers@gmail.com or call Erasmo at 919-799-6982 for more information. The Food and Agricultural Organization of the United Nations writes “…organic [methods] …are increasing soil organic carbon by [transferring] large amounts of CO2 from the atmosphere to the soil … enhanced carbon sequestration, coupled with additional biodiversity…organic agriculture [has] potential for mitigating and adapting to climate change. From http://www.fao.org/organicag/oa-specialfeatures/oa-climatechange/en/ January 29, 2017. Judy started HCF. 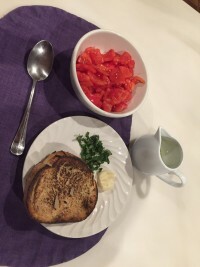 She develops meal plans for the CSAs, maintains our website, and writes our blog. Judy is now in her seventies, and you are not likely to see her at our early morning markets, because she is sleeping in. Erasmo worked part-time on the farm for years, He became a partner in 2016 and lives in Siler City. 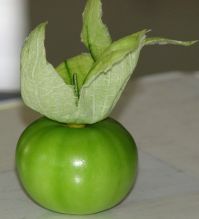 You can meet him at the Saturday Durham Farmers' market on alternate Saturdays. He is active in all aspects of the farm, is our main tractor guy, and is transitioning into doing the book-keeping. He and his wife Yoli work on the farm. Also, you can find them at the Durham Farmers' Market with their son Michael who is a math-wise.